Northrop Grumman is an American global aerospace and defense technology corporation, headquartered in West Falls Church, Virginia. From advanced threat detection to secure communications, Northrop Grumman works on a variety of survivable and rapidly reconfigurable systems that provide critical support needed for mission assurance. Northrop Grumman leads an industry team that is working with the Air Force on the B-2 Spirit. In January 2019, Northrop Grumman was awarded a $1.3 billion upgrade and sustainment contract for its Litening advanced targeting pod. Northrop Grumman is a provider of logistics solutions for global defense and federal-civil customers. Northrop Grumman is a provider of autonomous systems on land, at sea, in the air, and in space. These systems operate in areas and environments where manned vehicles cannot, allowing for prolonged missions, and helping reduce risk to human lives. Northrop Grumman has invested in research areas such as identity management, situational awareness, modeling and simulation, cloud security, and supply chain. 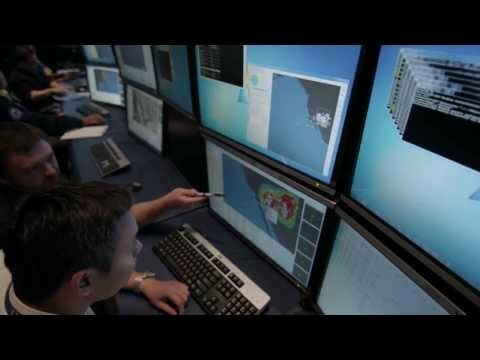 Northrop Grumman is a provider of C4ISR systems. The company delivers analysis systems through advanced communications payloads and integrated solutions that support the U.S. and allied forces.